Non-profit-aholics, gather here! If you are an addicted volunteer and play a big part in non-profits, I’ll be documenting stuff here. Tips, tricks, and tips…. and a couple more tricks. In part 2 I’m going to talk about a mistake that many non-profits make once they get a member to the REGULAR state of the funnel. 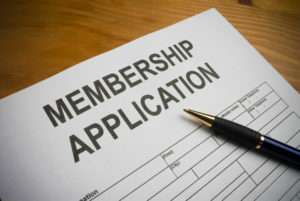 If you recall, the Membership Marketing Funnel contained 9 phases. The goal section consisted of 3 phases, each of which can be considered a success with regard to recruitment. Those were REGULAR, ADVOCATE, and RESPONSIBILITY. We didn’t talk much about the 9th phase, because it has it’s own discussion. And here, we’re going to discuss it. Hello. My name is John and I’m a non-profit addict. No kidding. I love running non-profits! I’ve managed several, in fact. While the rewards were incredible: new relationships, good works, helping people, petting dogs (yes, I got to do that), there was a prevalent theme between every non-profit that I have had a leadership position in. And it wasn’t a positive theme. Before I continue, I’m warning you that the next two posts are going to be long. I may split them into bite-sized morsels one day, but until then, set aside some time if you are really looking for direction and advice on growing a non-profit that is stagnating.